Due to a family emergency, I will not be able to work on DFW Craft Shows right now. Updates on the website including updates are on hold temporarily. Many of you may already know this, but my mother recently passed away. The loss, which was sudden and completely unexpected, has left my family crippled. I miss her terribly and I am unable to focus on anything but my family and my grief right now. My mother was in love with all things crafty, and pretty much a crafting genius herself. She helped me in my businesses and her encouragement / support was my fuel for everything. I treasured our shows together and loved bragging about her creations. Her talent was breathtaking and her love was like a light that lifted me above all else. Without her, I am lost. Just a day after this happened, my father in law was hospitalized for seizures. He has been diagnosed with brain cancer, glioblastoma, and we are now working our hardest to help both of our families. "A family & pet-friendly outdoor event held in conjunction with the Little Motor City Antique Car Show! Features an art exhibit (all ages), various merchandise & food vendors, children's activities, petting zoo, 42 tournament, and much more! Bring your pets - Dress Your Pet Contest; Stupid Pet Tricks Contest. Kick off the weekend with a homemade ice cream social on Friday, June 17, at the Detroit Tabernacle." "PERFECT PLACE FOR DAUGHTERS AND WIVES TO BUY THOSE LAST-MINUTE FATHER'S DAY GIFTS! Now includes Arts, Crafts, Antiques, Collectibles, Home Décor, Soups, Dips, Custom Confections and More!!!! "Bring a Friend" admission on Friday for customers! Part of the proceeds will go to support the US Military K-9 Fund (usmilitaryk-9fund.com). Enter for a chance to win a 3-D metal artwork creation from LB Enterprises of Hawley, Texas!" Admission is $5 for adults and free for children under 12. "Mansfield Unplugged is an up and coming organization supporting local artist and musicians while giving them a local area to perform, create and express their art in the South Tarrant County Area." "Shop handmade, shop local. Join Dallas artists Cut Out and Collect, Dowdy Studio, La Alicia, tefi and more as they set up shop at Lotus Yoga Dallas' Community Open House & Pop-Up Shop." Now that we have covered the important details regarding your event in Part I, and the pertinent information in defining your vendor base in Part II--it's time to start constructing that application! You obviously care about throwing a successful event or you probably would not have read this far. This series is here to help you, not make your life more complicated. And in that spirit, I spent several weeks designing and coding this template that you can download and use for your vendor application. "This open-air market will celebrate the local community and acquaint the Uptown neighborhood with local foods, artisans, and organizations." 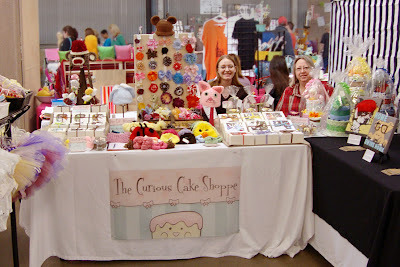 "Boutique Craft Fair and Small Business Show." "A free event for the whole family, bringing resources, local vendors, and support to Fort Worth families! With over 40 vendors, ranging from chiropractors, midwives, and doulas, to toys for children, handmade jewelry, natural soaps, and photographers, there is guaranteed to be something for everyone in the family! A raffle and silent auction, featuring items from every vendor, will be ongoing throughout the day, with proceeds benefiting Fort Worth Babywearers." "Cowgirls, get ready for the most fabulous shopping experience of the summer!" "The Agape Gems Presents: Zumba in the Park, Get out of School, Stay in shape! If you have heard anything about Zumba, You know that it is a party in itself! Well imagine assisting young girls boost their low self-esteem and confidence issues at the same time! We will teach them how to love themselves inside and out! We will have vendors promoting beauty and health, and an amazing Zumba director and beachbody coach, Latashia Alexander! Hope to see you there!!!" "The Wine & Clay Festival is free to attend!" Booths are 6x6 vendor space. $10 space fee + 1 donated item to be raffled or auctioned to benefit Fort Worth Babywearers. To apply, email fwbabywearing@gmail.com or call Morgan Mayes at 817-615-6396 as soon as possible! Every year we hit a point where summer really slaps you in the face. Those outdoor projects are getting more and more difficult to pull-off without passing out. Every time the sun catches you, your face melts a little more. Folks, it's getting ugly out there and we just can't deny it. The good news is, a crafter is never short on fun activities that can be done in the glory of air conditioning. This week's giveaway is sponsored by Amanda Shea of Things 4 Girly Girls! Amanda is a stay-at-home mom of 6 kiddos who enjoys spending her spare time crafting. From beautiful ribbon bracelets to gorgeous home decor, Amanda deals in style upgrades for the modern woman. You can stay up-to-date with new products and check out all her crafty adventures on facebook. How to enter: Simply leave a comment (here or on Facebook) and tell us how you are staying cool on these hot summer days. Personally, I've been using the time to organize and re-decorate the house. Or, I'll park the laptop next to a window and update websites. All the view with none of the sweat, just how I like it! Please don't forget to leave an email address, if I cannot contact you then you cannot collect your prize! Contest ends at 10:00PM on Tuesday, June 14, 2011. Winners will be announced Wednesday, June 15, 2011. Giveaway is open to US residents only. And the winner is... Jan of Jewelry4Change! You have won a Fleur de Lis wall hanging, a $30 value. This wall hanging is made from mortar, hand painted, and comes with a galvanized metal loop for hanging, making it perfect for decorating both inside and out. You choose, tan with black accents OR light gray with black accents. Accents can be painted light or heavy depending on your preference. You can still own one of these gorgeous wall hangings, even if you didn't win! Follow Amanda on Facebook facebook or check out Things 4 Girly Girls online! "Millhouse Entertainment, 501 (C) (3) Non-Profit Organization presents: Art of the Arts Summer 2011 Youth Seminar. This is a chance for gifted and talented youth to showcase their talent before industry professionals." Booths are approximately 10 X 6 and are free. This includes tables, chairs, electricity, lunch, and more. To apply, please email millimills2000@yahoo.com due by July 10th 2011. For more information, visit their website or contact their event coordinator at millimills2000@yahoo.com or 469-544-9022. "June's Art & Coffee features a wonderful, large lineup of artists and performers, many of whom are new to Art & Coffee. This is a free to attend show, with an open mic, surrounded by live visual art creation." "St. Jude's Catholic Women's Organization is hosting the 2nd Annual Jewel & Junk Trunk Sale! Come to this community event, load up your car with your treasures & garage items to sell or free admission if you plan to shop and enjoy food & fun." "EXPLORE THE ARTS & CRAFTS FAIR IN GETZENDANER PARK. Under cool, towering oaks, enjoy colorful crafts and artwork from across the state. Artists present creative gift ideas. There are fun children's activities and plenty of refreshments to satisfy your gastronomic adventures." 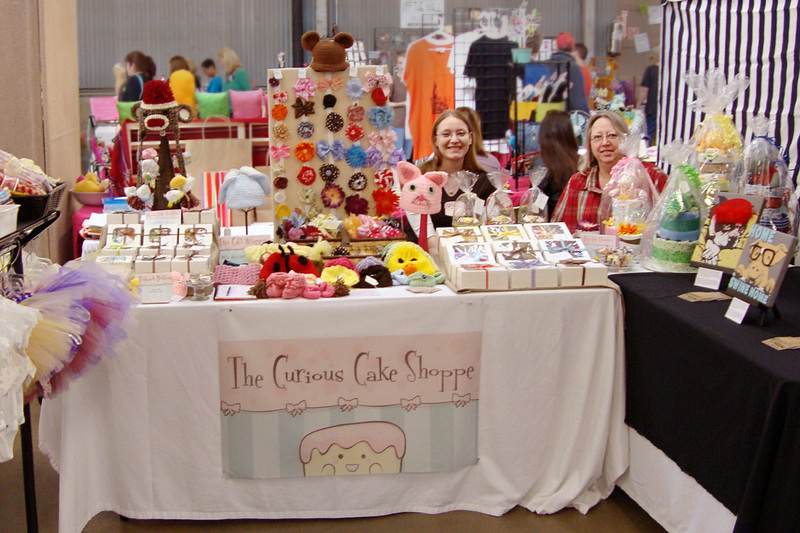 "This great handmade and vintage bazaar will be a one-day, fun and family-friendly event for anyone who loves to shop local art, craft, and style!"